When we hit the road or tracks, we’re pretty well always towing either our 21’ caravan or one of our camper trailers. Now as they all weigh more than 750kg, we use an electric braking system and have a brake controller fitted in our tow vehicles. So given the types of terrains we find ourselves travelling, we needed a brake controller that was versatile enough to be adjusted to suit smooth high speed highway driving, the stop/start driving in traffic, plus the fun stuff when we’re off road. For us, we’ve found the REDARC Tow Pro Elite fits the bill perfectly. This controller has many great features, but we really love having the ability to switch from automatic mode when travelling on bitumen, to manual mode for when we’re off road. We also found the installation of the controller and its access really easy. Unlike other controllers which need to be fitted under the dash in arm’s reach where you’d knock your knee on the controller, this wasn’t the case with the Tow Pro Elite. The dial can be fitted neatly on the dash whilst the master control box is tucked up out of the way of any knees. Brilliant! 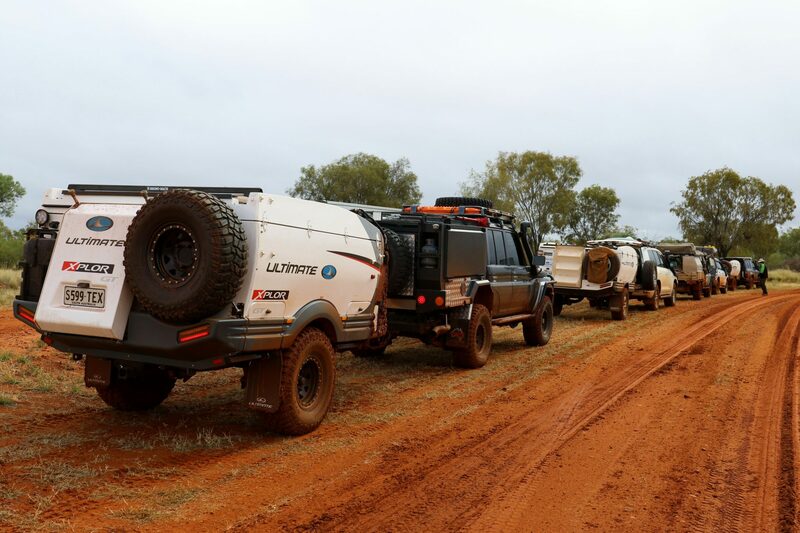 On a recent trip leaving from Alice Springs with our Ultimate camper in tow, it was a perfect opportunity to give the REDARC Tow Pro Elite a work out while travelling some tracks such as the Binns Track, Maytown Track and Old Telegraph Track, to reach the tip of Cape York. 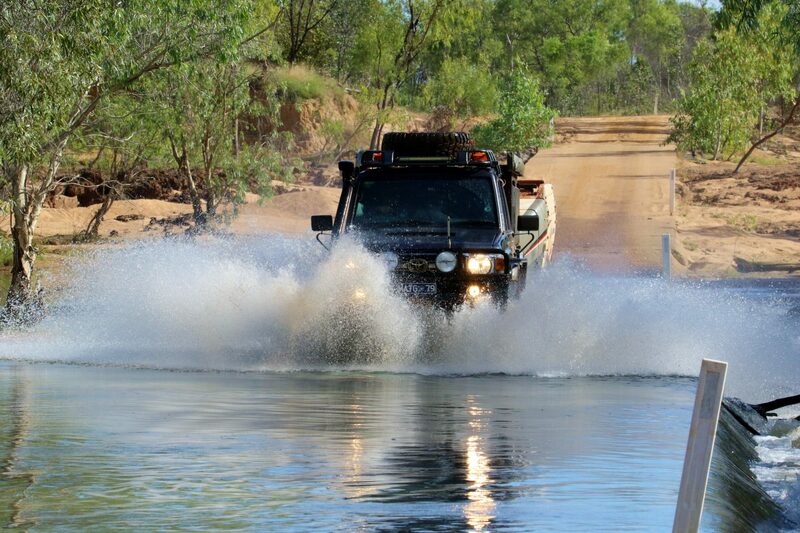 With a significant amount of Winter rain, the Binns Track was super slippery, which at times created a fishtail motion on the camper trailer that was easily corrected by just tapping on the brake controller to straighten things up. The track that ended up providing the most of a challenge was the Maytown Track. 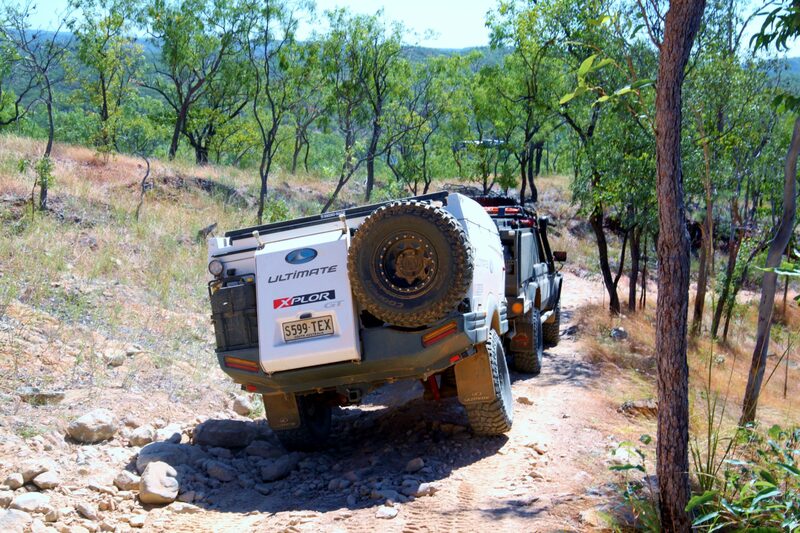 There were times where we needed to control the trailer brakes independently to the vehicle on this track, particularly when climbing down some very steep rock ledges. Having the ability to use the camper trailer brakes to help slow the tow vehicle down definitely came in handy. So did we have a great trip? You bet! We covered all sorts of terrains; from steep rock climbing and sandy descents, to water crossings and some very steep jump ups. At all times, we had the utmost confidence in our towing set up knowing that we could easily adjust the dial on the REDARC Tow Pro Elite to have the brakes meet our requirements. Then when back on the bitumen, it was a simple flick of the switch to Automatic made for trouble free braking management. You’ve got to love that!